It's not everyday that I tell my kids we're going to have a pizza and ice cream party. Since it's summer and we should be having some fun, why not have a Summer Fun party! 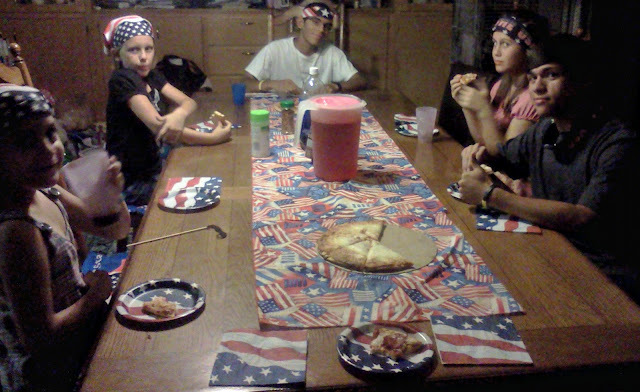 Since it was almost 4th of July we decided to celebrate with an All American theme. 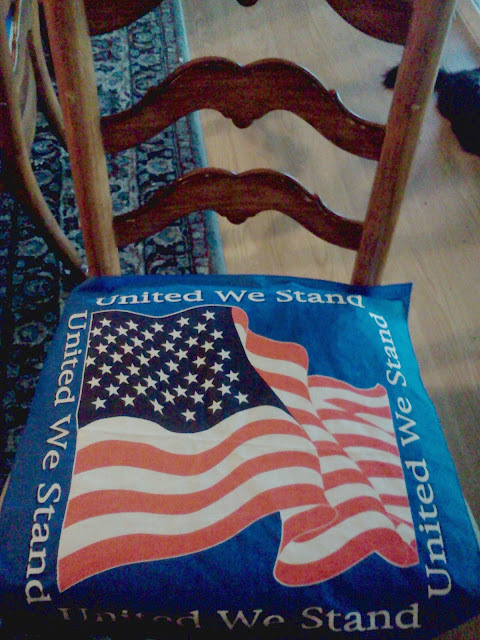 So we went shopping to grab a few things for our pre-4th of July, Summer Fun party. Off to Walmart to grab some great things. You can see my entire shopping experience here. We grabbed some sodas, flag plates & napkins and my kids favorite Pop-Its! Then we were off to grab not one but three Tombstone pizza's! We all like a different pizza topping in our house, so it saves me a headache when I buy everyone their favorite type. 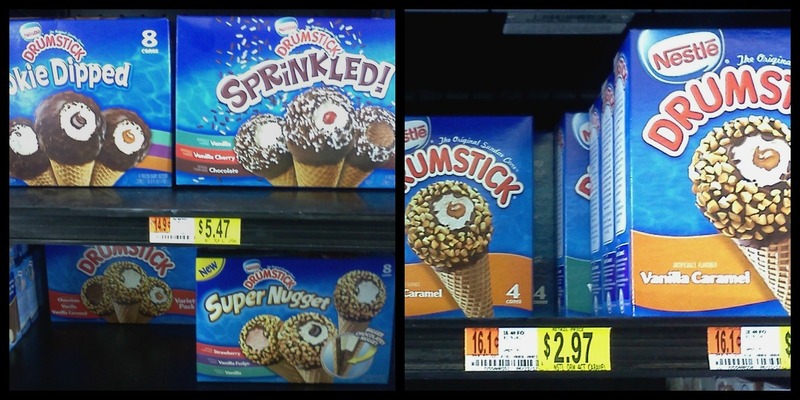 And the perfect Nestle ice cream around, the Nestle Drumstick! In our house anything Nestle doesn't seem to last very long, so it seems Nestle knows what they are doing when they create new products. After getting home annd unloading we couldn't wait for our party. My two youngest made a paper-chain to hang up. Then I decided to decorate the table with a table runner but not one you can just go out and purchase, I took four large bandanas and instead of making it a permanent table runner I used masking tape to tape them together on the backside. 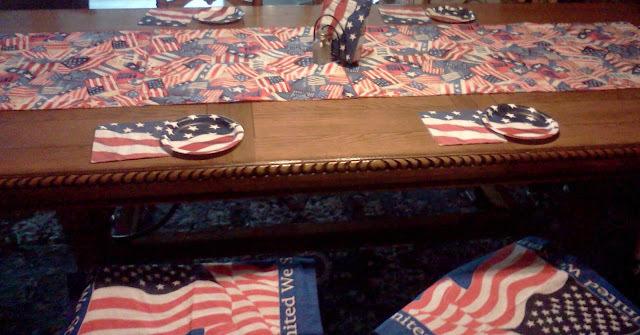 We then topped off the table with the flag plates & napkins. I also covered the cushions on the chairs with bandanas, so we had more decoration and something to keep pizza sauce from going on the cushions. Now I needed to bake the Tombstone pizza's and start the party! 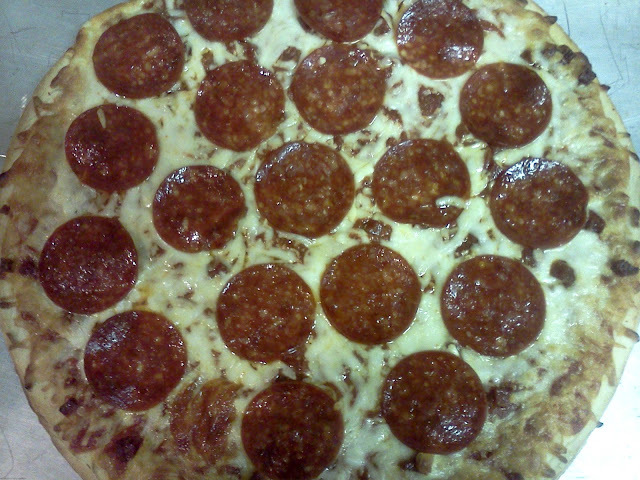 Look how yummy this pepperoni pizza looks, I had to move the pepperoni's so it looked perfect, it's my OCD. 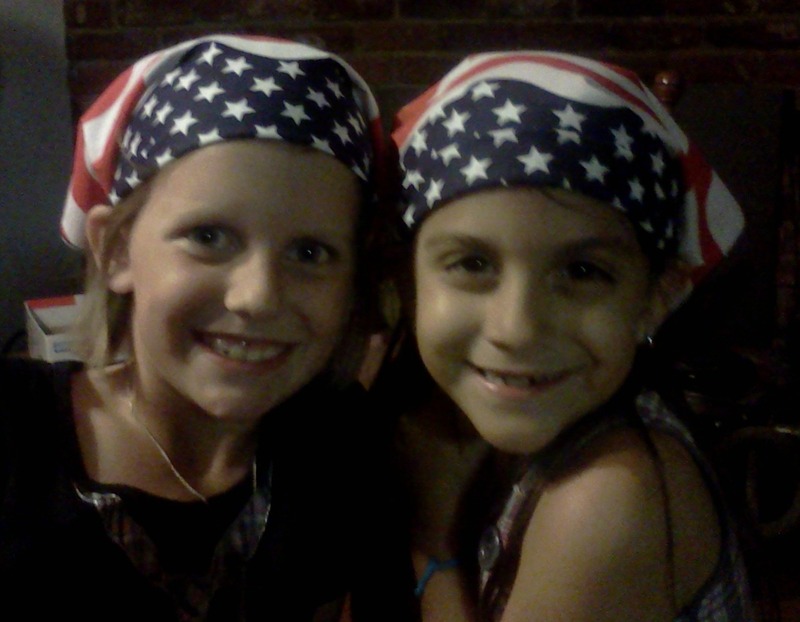 The kids not only helped decorate but they each wore a bandana to go with the All American Summer Fun celebration! Oh and they loved their pizzas! After eating pizza and clearing the table it was time for some fun, we played a game of Scattergories. Then we played a game of Monopoly and enjoyed the Nestle Drumstick ice creams. And for those that may be interested to know if the Super Nugget really has more chocolate at the bottom of the drumstick, here's the proof. My yummy drumstick, the chocolate amount in a regular drumstick and the last photo is a Super Nugget. There is really a lot more chocolate! We had a blast at our All American Summer Fun party. 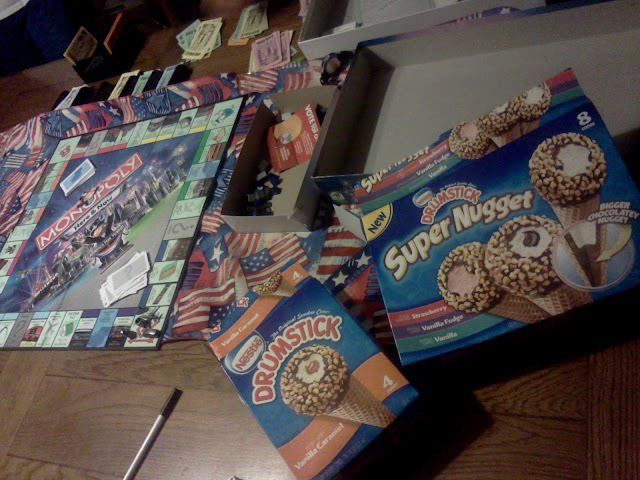 The kids really enjoyed the Tombstone pizza and Nestle Drumstick ice creams. I have already been asked when our next party will be and what theme we should have, now that's a successful party! I do that with the pepperoni pizza's as well! HAHA! Great party!